Who wants a Cow Thieves T-shirt? New and long-expected legislation has allowed for many a firsts in the local alcohol seen. Distilleries are popping up all over the NY area and just recently I saw via Kings County, that a Brooklyn Spirits Trail is in the works which most certainly will become part of the Nobler 1st Anniversary. So you can only imagine our excitement when this week the Mayor of Sea Cliff himself pushed through a law that claimed all garage based initiatives having produced 3 or more batches of beer with decent to mediocre quality control specifications were now officially considered Breweries. Oh right, they needed to have shirts as well. Okay, so that whole Sea Cliff mayor thing was a bit fabricated, but the t-shirts…those are f’n real! Larry and I bottled our third batch of beer this Saturday and managed to taste a bit in the process. These Summer Saison’s are going to be our best beer yet as even room temperature out of a bucket, they had some serious character. I’m working on the labels as we speak, and after a few weeks bubbling away in the bottles, these suckers will be ready to go. So what about the t-shirts? Well the one you see above is more or less a prototype. Because before I went ahead and ordered a bunch, I wanted to ask all of you if you wanted one! 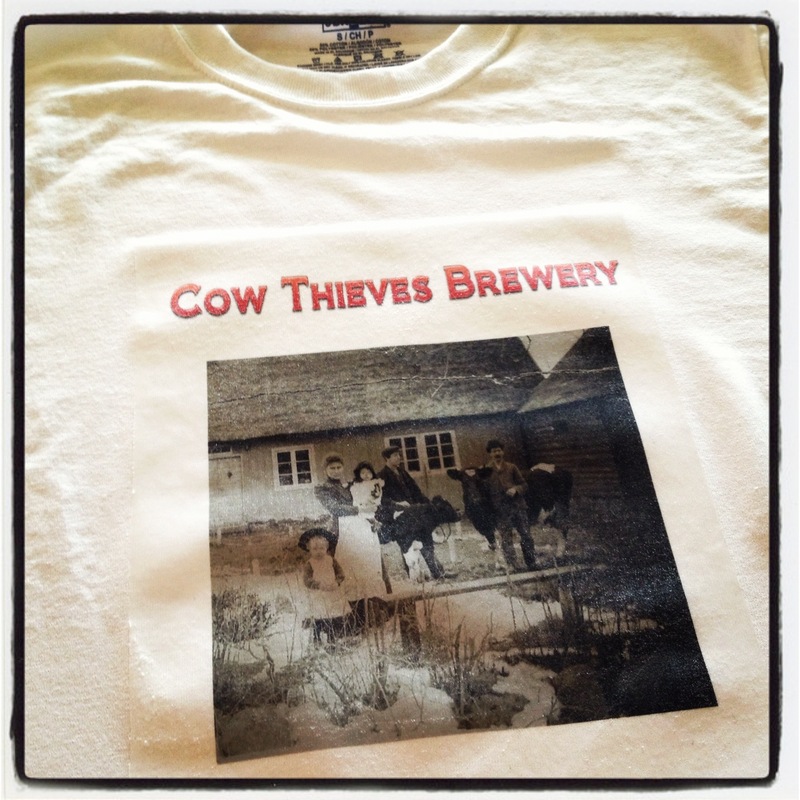 For just ten bucks, you can have one of the original Cow Thieves Brewery t-shirts and maybe even a beer in the process. Leave me a comment with your size and a firm commitment to contribute and you’ve got yourself a deal!